Home→Blog→About This Author→Author Appearances→Killer Nashville is Coming! Please look me up if you come. I’ll be giving a talk on the gothic novel (BRRR, BRRR, SHUDDER, SHUDDER) at 10:00 AM on Saturday, August 27. And you can buy my newest book, He Trots the Air, at the Mysteries & More book room at the conference. 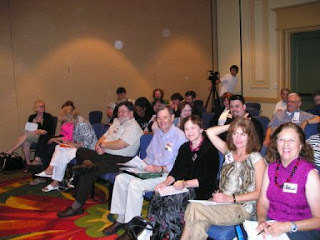 For more about this marvelous conference, go to www.killernashville.com. And be sure to read the exciting news on that page about the new Killer Nashville e-Magazine. Like to write? Here’s your chance. This entry was posted in Author Appearances and tagged Author Appearances by MMFisher. Bookmark the permalink.